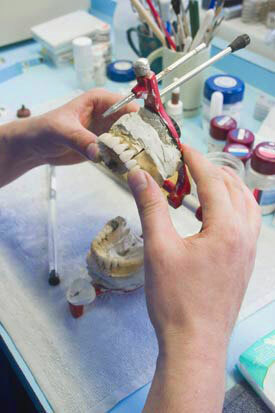 Questions about repairing your existing dentures? Call ☎ Peoria Office Phone Number 623-773-1882 to speak to a staff member. A variety of circumstance can lead to a damaged denture and should be addressed immediately. Repairs restore a fractured or damaged denture close to its original condition. Desertview Dental Care can often provide denture repair procedures on a same day basis. Desertview Dental Care will advise you of the condition of your denture and will recommend steps needed in preventing further breakage.